The Cadillac Escalade is a combination of classic hardwood feel of a Cadillac and a sophisticated beauty of a stretch Limo. With a stylishly mirrored ceiling carved in perfection to reflect the large dance floor, the interior appears artistic and spacious at the same time. Fiber optic colour shift lighting on the ceiling is definite to set the mood of the party! The Limo also offers two plasma TVs with DVD player, laser dance show, 8 bar areas with a generous space for drinks and ice. With an absolutely relaxing and comfortable interior, the Cadillac Escalate Limousine will definitely exceed your expectations every time you ride in it! The Range Rover has enough space to comfortably accommodate 18-20 passengers, making it a preferable Limo for prom night and parties. The exquisite strobe and fibre optic lighting and powerful woofer sound system create an energetic atmosphere at night to get you ready for the party ahead, while the tinted full-length glass lets in beautiful sunlight giving the interior an open and spacious feel during the daytime. Sit back and watch all the heads turn when the Range Rover takes you through the town! The dazzling exterior of the Magnum RT Limousine is bound to leave all the onlookers short of breath! As sophisticated as it looks from the outside, the interior will also leave you spellbound when you step into the Limo. There is a host of gadgets to keep you entertained through your ride. You can relax and watch a movie or groove away on your favourite party music as the Limo takes you to and back from your destination. With an immaculate feel of elegance running through the length of the stretch limo, the Magnum RT will leave you feeling eminent and captivated! The Pink PT Cruiser is designed absolutely for the ladies! Its artistic interior with decorously placed lights on the ceiling and the floor gives the Limo a perfectly sophisticated feminine feel. Simply crank up the sound system to bring the party to you, or alternatively, sit back and have a mellow chat as you sip down the margaritas and drive through the town in this state of art Limo! Perfect for prom, hen night or even a lady’s night out, the Pink PT Cruiser Limo will pamper you with its outstanding entertainment options and an exquisite ambience! 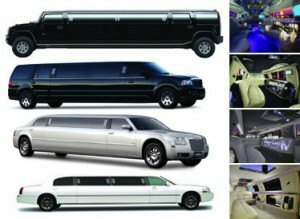 Top Limo Hire offers affordable prices get in touch with us now to book a limousine on 020 3475 2693. Put quite simply, there is not a fleet like it in the whole UK and there is not a team more dedicated or more passionate to making sure your special occasion is one you will always remember. Right from the moment you book, through to your special day of the limousine service, you will know you are in the right hands.